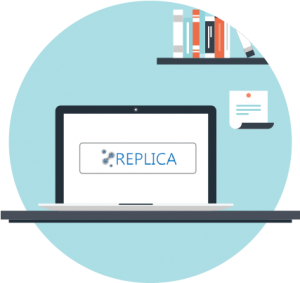 Replica is a software tool designed to help telecom carriers transition from 3G to 4G networks. As more and more subscribers begin to transition to 4G technology, wireless carriers need to fully understand how their traffic flows between 3G and 4G in order to optimize and properly manage these networks. View the traffic impact on existing network infrastructure by moving voice traffic from node-b type base stations to e-node-b type base stations. Maintain the ability to accurately optimize existing 3G PSTN connections despite the upcoming traffic changes. View key voice traffic flows between the existing 3G network and the new IMS network. Replica allows telecom carriers to model the flow of traffic between 3G and 4G networks. It helps engineers obtain insight into traffic flows and allows them to perform “What If” scenarios to test various call flow opportunities. Wavecode is a software developer for the telecom industry. We were founded in February of 1999. Our primary goal has been to develop quality software tools to save telecom carriers money while simultaneously helping telecom engineers perform their jobs more efficiently. As the industry evolves to 4G/IMS, Wavecode will continue to enhance its product suite to meet its primary goal. © Wavecode inc. 2015. All rights reserved.